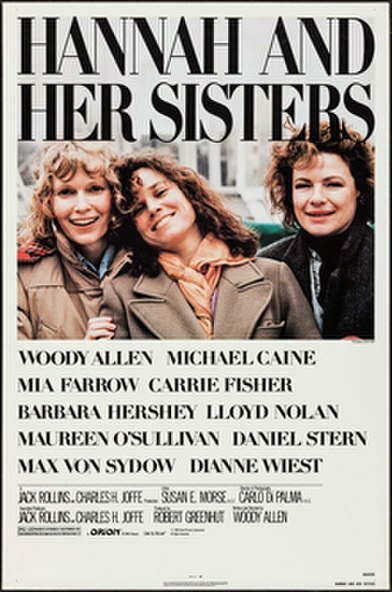 In film studies proper as well as everyday discussion, the concept of the auteur (or director as author) persists despite the knowledge that filmmaking requires the collaboration of multiple parties. Moreover, both academic and journalistic writers can overlook the impact of industrial concerns such as monetary resources and profit motivations when attributing authorship to the director. Even as someone conscious of these limitations to authorship, I regularly refer to directors of films and sometimes neglect to mention the writers, rarely if ever mention the producers, and often fail to credit important players in the film making process, such as cinematographers, set and costumer designers, and editors. In short, I sometimes perpetuate the concept of the auteur in spite of my awareness of its fallacy. The latter bears an uncanny resemblance to the former. Other slashers, such as Friday the 13th, also draw heavily from Herrmann’s style. Just watch the beginning of The Final Chapter (scored by Harry Manfredini) alongside the shower scene from Psycho. The comparison demonstrates the powerful influence of Herrmann’s work on the horror genre, particularly the slasher sub-genre. Still, the same way that Herrmann’s role as a composer undermines Hitchcock’s status as an auteur, it would be a mistake to oversimplify Herrmann’s power as a composer. In other words, the composition could not come to fruition without the labor of studio musicians, sound technicians, and orchestrators. 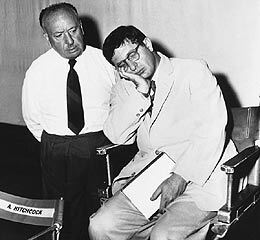 Hitchcock and an exhausted Hermann. Image taken from thethunderchild.com. I hope that by looking beyond the director’s credit, this series reveals the intricacies of the filmmaking process. In particular, I expect that these entries will show that the shapers of the horror genre need not only be its directors, but also those who play more particular roles in shaping these films.